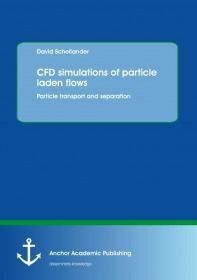 This study presents the basic models for discrete and continuous particle laden flow simulation. An overview of the two main approaches, the Lagrangian discrete particle model and the Eulerian granular phase model is given. Moreover these two approaches are combined to a hybrid model to use the benefits of the discrete and continuous description. This safes computational time and increase the efficiency of particle laden flow simulations. Furthermore the models are extended to poly-disperse particles including a simple agglomeration model based on a population balance equation. Finally the usability of the models is shown at a pneumatic particle transport system including particle strand building and the separation of particles using an industrial cyclone.